What's the best way to rig the hook on one of these kicker frogs? Any thoughts from more experienced anglers? As far as I know, they're sold pre-rigged. Maybe you're not giving time to feel the weight? In the box, the the point of the hook is buried in the plastic top of the frog. I left it that way, and also tried having it stick out a bit more. The bass were certainly biting, they loved this darn thing. But I don't think I reeled in anything more than about 10 feet. So, you think I need to let them *eat* the darn thing? I've never fished with anything like this before. Feeel the pull. Then SET the hook hard. Yea like they all said above you need to give it time till you feel tension on the line I don't count but if my lure doesn't pop back up to the surface in the normal time it takes after a miss strike I set the hook sometimes they don't give line a tug at all. Just don't react so quick. Like Musky Mike said you can count to but I find if the lure doesn't surface after then go ahead and set the hook. Everythng previously mentioned is bang on. Gve it some extra time, dont hook set after the first thump all the time. You may also be getting the fish nibbling the foot or half the body, in that case you wont be setting the hook. Always be adjusting your tactics and you will catch more fish. You've tuned in on what they are hitting, good, now you need to adjust getting the hook into their mouths. Expose the hook a little more? Give it a couple "mississippi's", etc. I would nose hook the frog with a 2/0 exposed fishing that water. 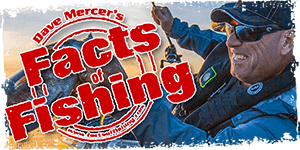 Try this... Reel it in with your rod angled at 45 degrees to the left or right and slightly pointed up. then when you get a hit point your rod down at the lure's location, this will give you some slack... slowly reel up the slack and when the slack is gone set the hook hard upright and keep the presure on. This will keep the fish up out of the weeds and tension on the line. Don't stop reeling. Like when I say set the hook hard. I mean HARD. LIke get up on your toes kind of hard. It also helps if you have a longer rod. I uses a 7'6" rod. This technique gives enough time for the fish to take it under, as well the fish won't feel any weight until you set the hook. I have seen many times while frog fishing that as soon as the fish feels weight on the line they will spit the frog. soemthign unnatural about a frog that is being pulled out of its mouth makes them want to spit it. These suggestions are all very helpful.... I am slowly regaining confidence!